What Is Plain Vanilla In Finance? Plain vanilla refers to a basic version or standard form of financial instruments that include swaps, futures, options, and bonds. It is just the reverse of so called exotic financial instruments. Generally speaking, exotic instruments change the elements that make up the conventional or traditional financial instruments that result in complex security. This can be better understood with the help of an example. A plain vanilla option is a basic type of financial instrument that does not have additional features and has just a strike price and an expiration date. On the other hand, exotic option comes with additional features like “knock-in option”, which allows the option to become active only at a set price point. What are the basics of Plain Vanilla? It is referred to as any “tradable asset” or a financial instrument or asset that is available in its basic form or standard form. This concept can be applied not just to the trading strategies but also to various financial instruments like stocks and bonds. Let us understand with the help of an example. An option is basically a contract that allows a buyer of the option to enjoy the right to buy it but he is not under an obligation to trade an underlying asset at a specified price either on or before a certain given date. 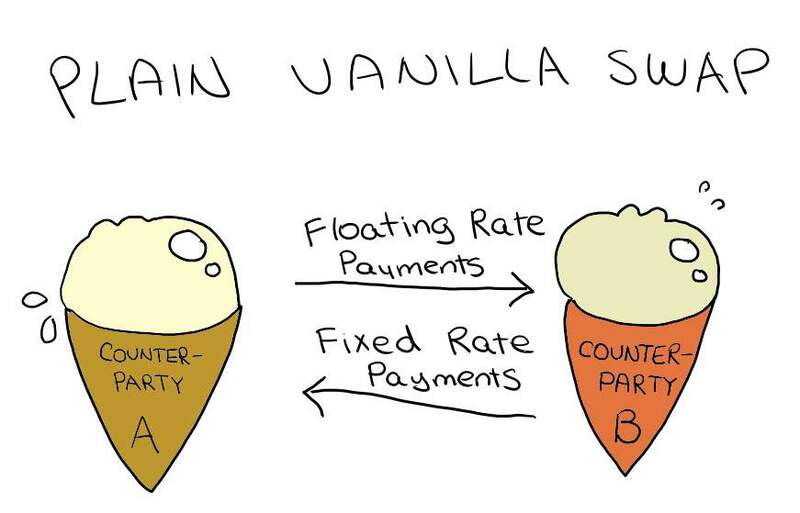 A Vanilla option is just a put or call option without complicated or additional features but has basic or standardized terms or features attached to it. With options, the more is the specified rules or norms, more are the chances of these financial instruments being associated with various regions or territories like American-style option or European style option. However, the term ‘Vanilla’ may be referred to any basic option that has no frills attached to it. Having talked about the simplest form of financial instrument or option, let us find out how it differs from exotic, which is just the opposite. An exotic option has additional and complicated features. Also, there are special “circumstances” that differentiate them between various styles, namely, American style option and European style option. Most importantly, the exotic options have to be understood well before they can be traded. Also, they are much more risky and you will have to be a veteran in the financial markets in order to successfully trade them. These assets are usually traded over the counter. Examples of exotic options include digital options or binary options. In these types of options, the proceeds that are generated are usually offered in a lump sum amount and not in payout methods that gradually increases over time. However, you must be aware of the terms and conditions under which the payout is offered, particularly if it is in lump sum. Two other prominent exotic options include Quantity Adjusting options and Bermuda options. Plain Vanilla swaps are not unheard of. These are agreements that are written between 2 parties so that there is exchange of sequence of cash flow. And this occurs for a predetermined time period that is governed by terms and conditions that may include foreign exchange rate and interest rate payment. You will not be able to trade swaps on the exchanges but they are usually traded over-the counters. Due to the nature of trade occurring not on exchanges but over the counter, you will find that this market is usually dominated by the large investment firms and financial institutions. Seldom will you find individual investors trading swaps. Amit Singh is a founder of Theinternationalfinance.com he share his immense knowledge of Finance in this blog. What Types of Lawyers Make the Most Money?